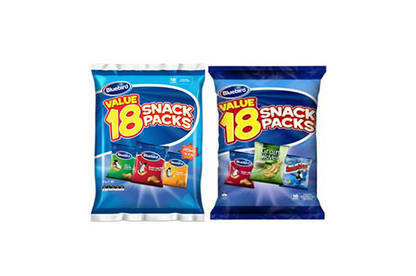 Bluebird Foods has recalled 2 of its Value 18 Snack Packs. These multipacks contain Ready Salted and Salt & Vinegar flavours that could contain pieces of white plastic. The affected products have a best before date of 6 Sept 2015. They have been sold across the North Island in New World, Pak'n Save and supply chain retail outlets. Check the best before date and lot codes. Best before dates can be found below the barcode on the outer pack. Lot codes can be found on each individual inner pack. Do not consume the product, and return it to your retailer for a full refund or replacement. Please call 0800 762 324 with any questions. Any customer concerned about their health should seek medical advice.